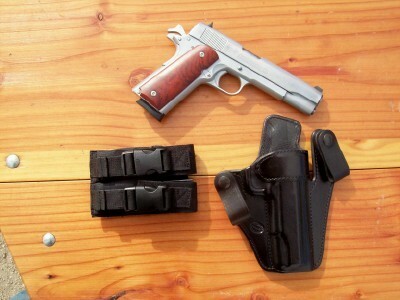 Perfect since it will accommodate most any pistol mag and attach to any common belt width. Every two years I move my cards, cash, and condom into a fresh wallet. I'm good. Dude, your health teacher in high school DID tell you those are a single-use item, right? It depends on the magazine. When I carry my sub compact single stacks (XDS45 or .32NAA) in fancy clothes, I keep it right in my front left pocket. Very easy to grab. 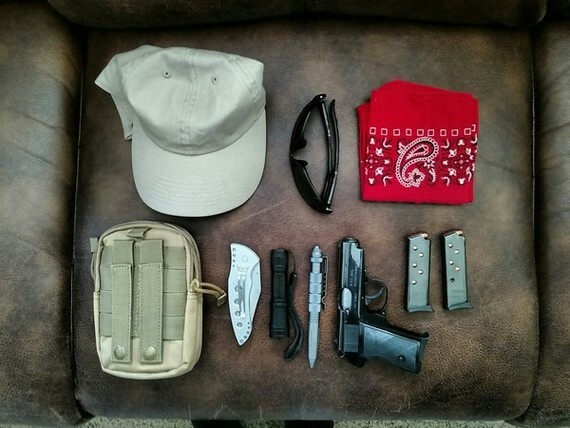 When I'm carrying my Glock 29 in my every day "summer" configuration, the gun is in a pocket holster in my right cargo pocket, and I have two Glock 20 mags in a fobus paddle carrier in my left cargo pocket (both snapped or Velcro'ed closed). The whole point behind the fobus is to keep the mags upright and oriented, as well as provide a smooth rounded comfortable surface against my thigh (hard square corners bumping against my leg while walking gets annoying fast). The point of carrying two extra mags in this case is not because I feel I need 41 rounds on my person, but because balancing out weight on each side greatly increases comfort and reduces fatigue. I do the same with my shoulder rig (gun on one side, two mags on the other), and custom made myself a king-tuc rip off IWB dual carrier to offset the weight of my full rail all steel 10mm 1911 for winter months. When I carry the Kahr CM9 I use the six round magazine. 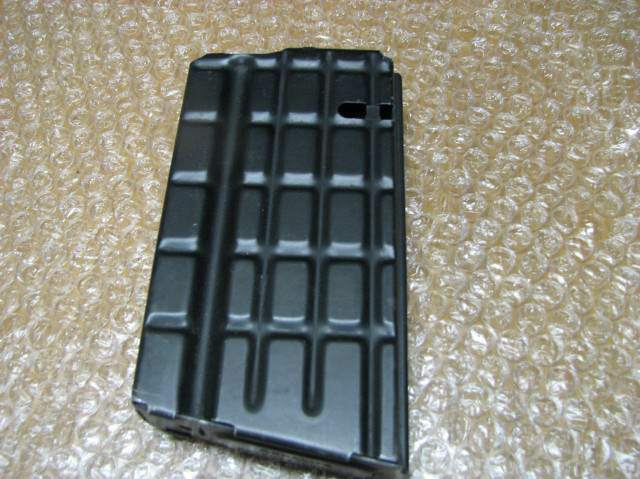 One spare mag is carried in my left hand coat or jacket pocket. I think that this is quicker than having to reach under the garment and pull the magazine out of a mag pouch. Disposable? No. Lather ~ Rinse ~ Repeat! My extra pistol mag carry is either in a Davis Leather, single 1911 mag belt pouch or in a Tex Shoemaker leather pouch, inside of a backpack. 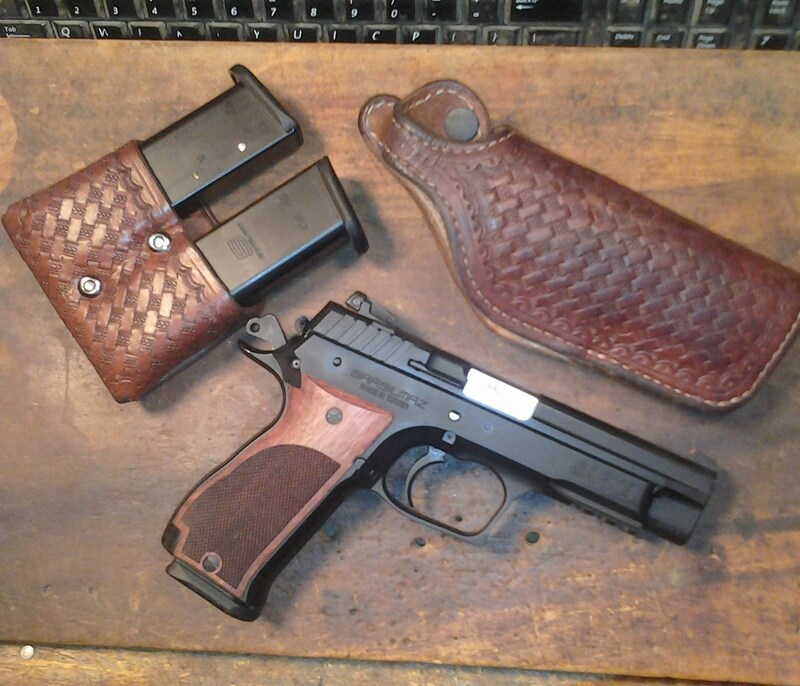 Whether my SIG 2022 or 1911 have either a leather two mag pouch for 1911 with two ten round mags. For SIG use a SIG two mag clip on synthetic pouch. 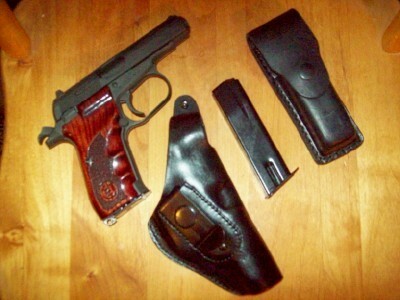 If high threat area drop two spare 1911 mags in left rear pocket. Can't carry double stack mags in pocket so add belt pouch. Always have a gun and always have spare mag. Period. Was attacked by a black bear, a wolf and a wolverine...all at once, in my dream last night. I pulled my 1911 and fired off all 8 rounds at close range, best I could, but they were not dead! And me, with no spare mag at hand. Everybody knows that for dispatching such creatures you need three rounds each. Shoot the Wolf first as he is the one most likely to press an attack. The other two only get testy if you're fooling with their food or cubs and will give up an attack if you give up your backpack. You need some Wilson or Chip McC Power Mags in the 8 round version and be sure to use Carry Condition Three. My usual carry piece is a CZ 75 with a 14 round mag so I generally don't carry a spare mag. If I can't extract myself from a sticky situation with 15 rounds, I'm probably toast by then anyway. I mostly OC. 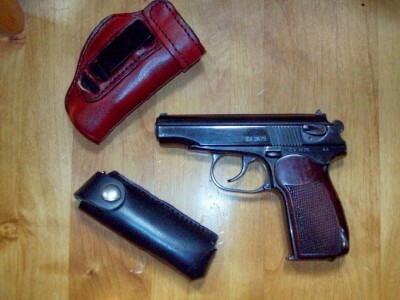 I carry a CZ clone in the form of a SAR K2 45, which is a 14+1 45acp pistol plus I carry two extra 14 round mags. It also depends on where I am going I might be carrying as many as six extra mags in 45 good ness. 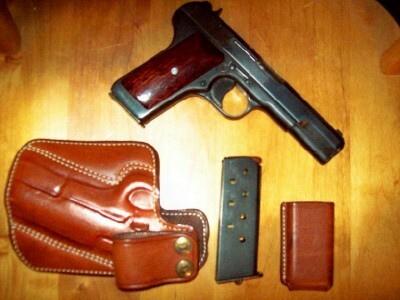 OBTW this is my everyday carry leather. This....(CM40) except here in TX...In the usual attire of shorts and a T-shirt....the +1 finger extension mag is in the left front pocket....for the exact stated reasons. I carry two loaded spare mags as a rule in my pants pocket. To keep dirt and dust out, I keep each one in a sealed sandwich bag. I guess I am just simple minded. Huh, looks like I just found a use for those little "snack" size zip-lock bags. And why are your mags carried in "opposite" positions? Or maybe better stated as "orientation"? Last edited by base704; November 14, 2017 at 09:17. Hope you don't need one in a hurry. It was how we wear thought. Uniform, but we wear also to for the rear mag first to. hell its been so dam long ago, it’s just habit. I am not in law enforcement, its been a very long time since I was in the Marines, and I do not work or live in a combat zone. The sole purpose of a CCW for me is to extract myself and/or family members out of an "unpleasant position", not "solve the evils of the world." With that said, I can reload my CCW from the mags in my pocket than I could from the mag pouch on the "duce gear" I carried while a Marine... its all in the preparation and training. Oh yea, and I can even carry cookies with my spare ammo, its a big bonus! I’m not carrying a 1911, but sometimes I do. The one in my pictures is a double stack 14+1 SAR K2-45. As crazy as it sounds, I carry my SAR K2-45 from time to time as a pocket CCW. Back in 2008/2009 I worked for about 6 months in what seemed like a war zone in a large city. In 6 months, we averaged 2-3 shootings a month in a small 2 block campus the organization occupied. Since it was a government organization, they claimed they could not fence the complex in, so all employees were easy targets for the local gangs. I had to cross state lines and my CCW permit was not valid, so every day I had to consider taking the same risk you do, the same decision was made everyday by all of my co-workers. After 6 months my wife was close to a nervous breakdown and I had enough of the shootings, muggings, robberies ,etc.. to my co-workers and found a new job, it just made no sense to have to take the risk and not be able to legally protect myself. To me the moral of the story is many of the "progressive politicians" flat out value the life of a criminal more than a law abiding, tax paying citizen.